Author, illustrator, musician, naturalist, wilderness guide, “Minnesota’s renaissance man”… this is Douglas Wood. 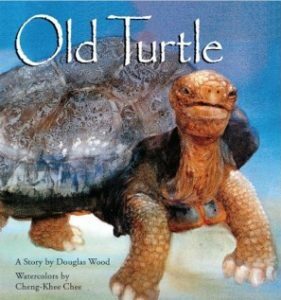 Doug is the creator of classic children’s books like Old Turtle and A Quiet Place. He publishes critically acclaimed adult titles like Deep Woods, Wild Waters and Paddle Whispers. He visits countless schools, motivating students and teachers alike with his story of going from the “worst reader in the class” who struggled with ADHD and dyslexia, to becoming an international best selling author. And in programs for churches, libraries, nature centers, and civic organizations, Doug communicates through words and music the inspiration to be found in nature—not as a place to visit, but a place to call home. 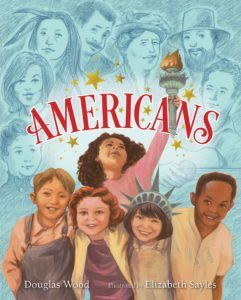 Learn what makes Americans great, from sea to shining sea, in this patriotic and diverse picture book by New York Times bestselling author Douglas Wood. Order Your Personal Autographed Copy Today!